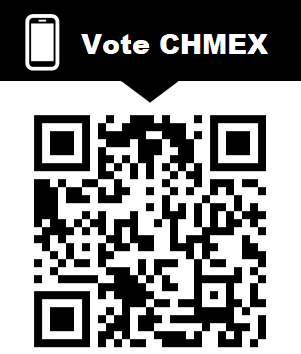 I am CHMEX Operator of www.dexstats.info, which provides various useful tools like Trading History, Richlist & Lookup, Address Converter and PIRATE Migration & Onboarding to name a few. Visit dexstats to learn more. I work an DevOPS IT Job in Telco where I’m exposed to a lot of Data. For the first time I would like to present myself as a candidate for Notary Node Election 2019 to operate a Node in the EU Region. I only run for one Region and one Node. In case of auto re-election in 2020 the proposed Use of Funds honored as well. ICO Contributor, Active Community Member since 2017, Team Member since 2018. Running www.dexstats.info and all it’s Tools which you have maybe already used. Hosting Hourly updated Richlists. Realtime Coinsupply with API. Daily updated Bootstraps on all Notarized Assetchains. Hosting about 50+ Explorers for Live and Testing Network https://explorer.dexstats.info . I got BarterDEX listed on CMC with integration. Hosting and maintaining API’s to feed in Realtime Blockfolio Coinfairvalue Blocktivity CoinmarketCap Coingecko Coinpaprika and others. Serving 4 Mio API calls per day to these sites. That’s 46 Req/s or 1.4 Bil Request per year. Helping out People Migrate funds 1+ Mio ARRR, 1+ Mio USD in NXT Assets saved. Trustee in OTC Transactions. Winner of the BEER & PIZZA Atomic Swap contest in 2018. I will Airdrop 1 Mio PIZZA-Testcoin to all my Voters regardless of the outcome of the Election! I was running LP Nodes on odd Pairs like DBG/HUSH HUSH/VTC during bullmarket. I’m still running PIZZA/BEER LP nodes. With mm2.0 these marketmaker Nodes will be activated again. My addresses have been involved in approx. 10% of all BarterDEX Atomic Swaps. I’m helping out people as much as I can on Discord and Telegram. A lot of time I test new KMD features. Onboarding System for PIRATE with Referral System. LABS Node Operator, therefore have the capability to run a Notary Node. Current Running LABS Node uses Notary Hardware and Location. Integrated Richlist and Node List to Explorers. New Type of Explorer might be around the corner. KMD Rewards Bot - It will notify you when Rewards stopp accruing. Simple Fundraising Platform for Eco System Projects. I will continue creating Tools for the Community as needed. Dexstats needs a Redesign. 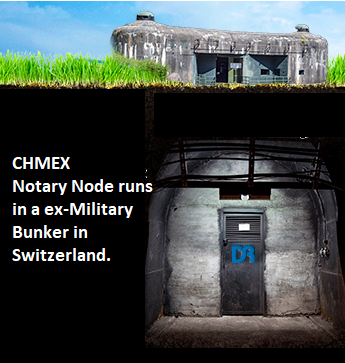 Node will be running in Switzerland with a politically stable and Crypto Friendly Goverment. minimum Funds to LABS and PIRATE are paid regardless of the KMD-FIAT Price. I will use Funds to pay Dev Bounties like RPC Integrations Bitcore and others. getchaintxstats to KMD was paid by me. I financially supported sg777 / CHIPS dev. I will continue using funds to support devs. If elected I can setup, run and pay more Servers and create new Tools I have a lot ideas, most importantly and $BUIDL $BUIDL $BUIDL for the next wave of Assetchains in 2019/2020. I got some Donations from Community members over the last few month which I’m very thankful. With the current Infrastructure I pay around USD 250 per Month out of my Pocket. To my current knowledge the location of my Node will be the southern-most in Europe. It’s outside of Hetzner & OVH Network I believe in a de-centralized network which I want to support this way.